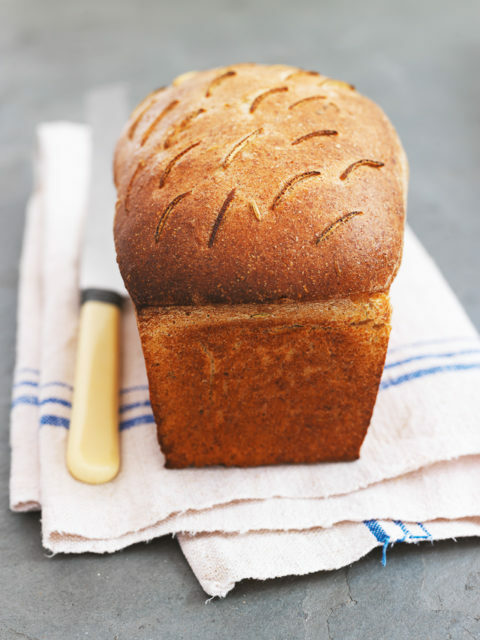 Light Swedish rye Limpa sourdough bread is a delicious alternative to wheat flour bread. 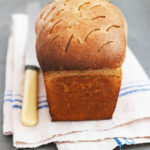 If you try this Swedish Limpa sourdough rye bread – from Jane Mason’s Perfecting Sourdough please tag #FussFreeFlavours on Instagram or Twitter. It is amazing for me when for me when you make one of my recipes and I really do love to see them. You can also share it on my Facebook page. Please pin this recipe to Pinterest too! Thanks for reading Fuss Free Flavours! Limpa is a rye bread flavoured with molasses, and orange zest and spices. Many recipes replace the water with dark beer. Put the sourdough starter in a large bowl and return any remaining starter to the refrigerator. Add 70 g white flour, all of the rye flour and 60 ml water and stir gently to mix. Cover with plastic wrap and leave on the counter for 8 hours or overnight. Add the remaining ingredients to the refreshed starter and mix well. Turn out onto a lightly floured surface and knead for about 10 minutes or until smooth. Shape the dough with wet hands into a sausage shape, gently place into a greased loaf tin and cover with oiled plastic wrap. Prove at room temperature for 3–4 hours until the dough has risen about 2.5 cm above the top of the loaf tin. Preheat the oven to 220 °C (Gas Mark 7). Bake for 10 minutes, then reduce the temperature to 200 °C (Gas Mark 6) and bake for a further 30 minutes. Remove from the loaf tin and cool on a wire rack.